Welcome to Byrdie UK's Wellness Week. Over the next seven days, you'll get to read about how to make your body, mind and, well, your life more balanced. We know it's not January, but wellness has become an all-year-round focus for many, and with autumn on the way (read: cold and flu season), now seems like a good time to talk about not just keeping well but boosting our wellness from all angles. From the best tech to improve your health to the small tweaks anyone can do to bring you more happiness, we've thought about everything you might want to factor a little more wellness into your life with ease. Today, we have two dentists debating the pros and cons of fluoride-free toothpaste. Have you ever thought about switching to fluoride-free toothpaste? I have. Mostly when I had acne and found myself down a Google black hole, reading on forums that people were blaming fluoride for their hormonal breakouts. Fluoride is used in toothpaste to strengthen the teeth and prevent cavities. Despite murmurs that fluoride is bad for our health (it’s been linked to everything from kidney stones to cancer), there’s little concrete evidence out there to corroborate the need to switch to fluoride-free toothpaste. To try and get to the bottom of it, I spoke to two dentists to find out whether we should make the switch. I also sent them the ingredient lists for three alternative fluoride-free toothpastes to review. Keep scrolling to find out what they had to say on the notoriously divisive subject. According to Grahame, when the bacteria in dental plaque reacts with the sugar in our diet, it produces acid that is damaging to the teeth and enamel. Fluoride is added to toothpaste to strengthen the teeth, thus preventing potential damage. On the flip side, Giacomo Favero, cosmetic dental surgeon, clinician and researcher, isn’t convinced fluoride is great for our health. “Fluoride [in toothpaste] is a chemical mixture that contains a wide array of chemicals, putting this substance in category 4 of the hazardous materials scale. This is the highest and most dangerous rating a substance can receive. “Fluoride is believed to be useful to protect against dental cavities, but if we look at the science on fluoridation, there are many controversies. And the research on fluoride is mixed as far as the benefit. If you look closely at the studies, and you combine them all together, I am convinced that if there is a benefit, it’s no longer there, in part because we’re ingesting too much fluoride. Interestingly, Favero suggests that our dental problems can also be indicators of wider health issues. “Stress can affect dentinal and salivary flow with over-production of cortisol. Hormonal shifts such as low thyroid activity, pregnancy, teenage years, and growth spurts in children can affect dentinal and salivary flow and make teeth susceptible to decay,” he says. Both Grahame and Favero make good cases for and against fluoride, so what to do? Favero believes, in some cases, fluoride toothpaste should be used. “Individuals who experience early stages of decay, or who have cavities forming, should be sure to have daily exposure to topical fluoride using only a pea dose, and they must not swallow it,” he says. I’m personally one of those people who, despite how much I brush and floss, grows plaque like it’s going out of fashion. I need the fluoride to help protect my teeth, but I’ve been introducing these fluoride-free toothpastes a few times a week just to try and reduce my fluoride intake. 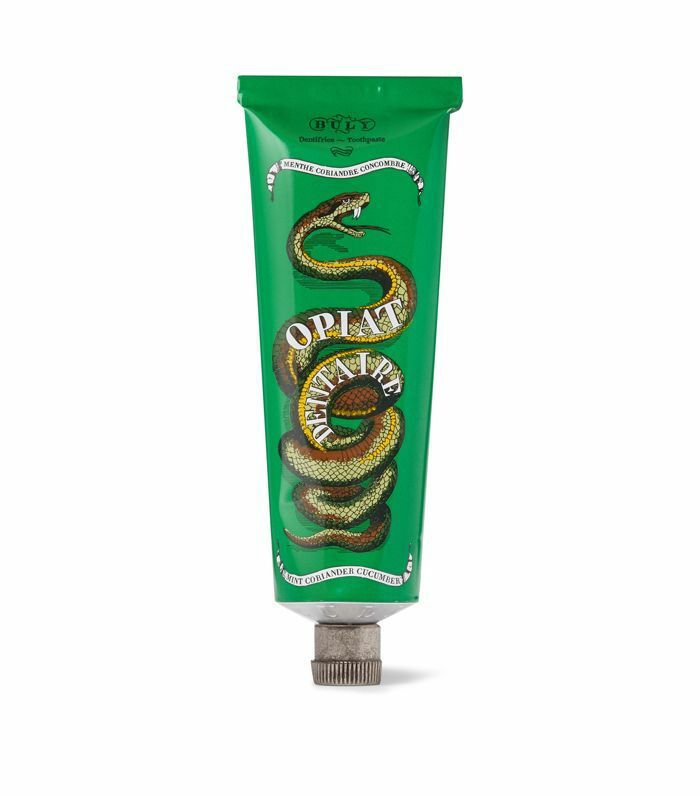 Lebon Sweet Extravagance Toothpaste (with rose, orange blossom and mint) tastes incredible, while the Aesop and Buly offerings taste good and look incredibly chic. If you’re not prone to plaque and never need fillings, you could make the switch and see how you get on. 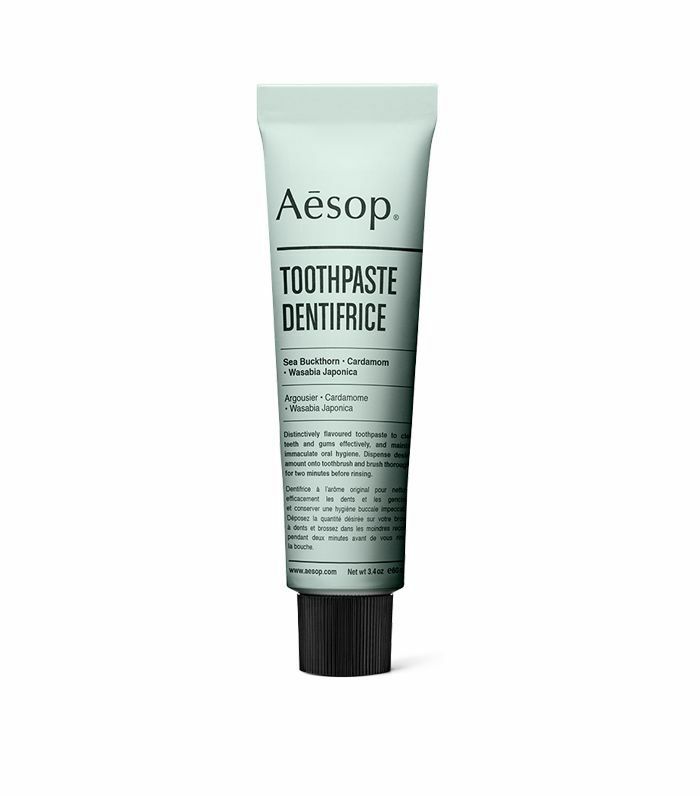 While the dentists disagree on the use of fluoride, they are aligned that the Aesop toothpaste offers the best combination of ingredients, making it a good place to start. Next up, love coffee but don’t want stained teeth? This is the answer.